Below you fill find all funeral homes and cemeteries in or near Oskaloosa. Suburbs of Oskaloosa: Evans, Keomah, Wright. 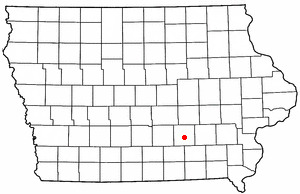 Oskaloosa is also known as: Mahaska County / Oskaloosa city. Zip codes in the city: 52577. We believe in treating your family like our own to ensure your comfort and ease during this difficult time. We promise to serve your family with compassion, dignity, and integrity. Some of the notable people born here have been: Patrick O'Bryant (basketball player), Arthur Russell (record producer and singer), and Tyler Sash (american football player). It was revealed by Des Moines Register on January 23rd, 2019 that Randy Binns passed on in Oskaloosa, Iowa. Binns was 55 years old. Send flowers to express your sympathy and honor Randy's life. It was disclosed by Des Moines Register on November 23rd, 2018 that Jerry Haines perished in Oskaloosa, Iowa. Haines was 74 years old. Send flowers to express your sympathy and honor Jerry's life. It was disclosed by Des Moines Register on October 7th, 2018 that Dirk Wayne Vangorp passed away in Oskaloosa, Iowa. Vangorp was 79 years old. Send flowers to share your condolences and honor Dirk Wayne's life. It was disclosed by Des Moines Register on September 14th, 2018 that Velma Wilcox (Snakenberg) passed on in Oskaloosa, Iowa. Ms. Wilcox was 104 years old. Send flowers to share your condolences and honor Velma's life. It was disclosed on September 2nd, 2018 that Robert Ross Stevens passed away in Silver Spring, Maryland. Stevens was 88 years old and was born in Oskaloosa, IA. Send flowers to express your sorrow and honor Robert Ross's life. It was reported by Des Moines Register on August 26th, 2018 that Allegra "Jennie" Shediwy (Lowden) perished in Oskaloosa, Iowa. Ms. Shediwy was 97 years old. Send flowers to express your sorrow and honor Allegra "Jennie"'s life. It was noted by Des Moines Register on March 30th, 2018 that Norma Leona Whitlatch passed away in Oskaloosa, Iowa. Whitlatch was 96 years old. Send flowers to express your sympathy and honor Norma Leona's life. It was disclosed on January 24th, 2018 that Karen Reynolds (Hanna) perished in Harrison, Arkansas. Ms. Reynolds was 73 years old and was born in Oskaloosa, IA. Send flowers to share your condolences and honor Karen's life. It was noted by Peoria Journal Star on January 3rd, 2018 that Leonard Brown passed away in Peoria, Illinois. Brown was 90 years old and was born in Oskaloosa, IA. Send flowers to express your sorrow and honor Leonard's life. It was reported by New Haven Register on January 3rd, 2018 that John Chase died in Hamden, Connecticut. Chase was 82 years old and was born in Oskaloosa, IA. Send flowers to express your sympathy and honor John's life. It means "last of the beautiful.". Oskaloosa derives its name from Ouscaloosa who according to town lore was a Creek (people) princess who married Seminole chief Osceola. . . . Contributions may be sent to Garland-Van Arkel-Langkamp Funeral Chapel at 2116 N. Third St., Oskaloosa, Iowa 52577. Visitation will begin after 10 a.m. Sunday at Reece Funeral Home with the family present from 2-4 p.m. Sunday. Memorials may be made to Davis Street Christian Church or Hospice, 927 E. Pennsylvania Ave., Ottumwa, Iowa 52501. Burial will be in Koszta Cemetery near Belle Plaine, Iowa. Garland-Van Arkel-Langkamp Funeral Chapel in Oskaloosa is in charge of the arrangements. Jacob was born October 28, 1982 in Cedar Rapids, Iowa and attended school in Vinton and Oskaloosa. Listing all funeral homes in Oskaloosa, Iowa so you can easily send flowers to any location (same day delivery) or find any funeral service. We work with local florists and flower shops to offer same day delivery. You will find budget sympathy flowers in Oskaloosa here. Our funeral flowers are cheap in price but not in value.